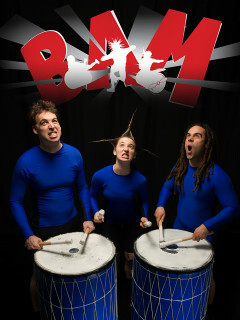 BAM Percussion showcases the art of comedy-percussion. From beginning to end, eXplosion electrifies the crowd with its powerful rhythms and its deliriously funny sketches. The pulsating energy of BAM is contagious and through drumbeats and laughs, overwhelms the audience.